MSG lenses combining optical performance and heat resistance revolutionize conventional lens concepts. The MSG lens is a high temperature resistant reflowable lens developed by Milestone Co., Ltd., a Seikoh Giken group subsidiary since 2009. 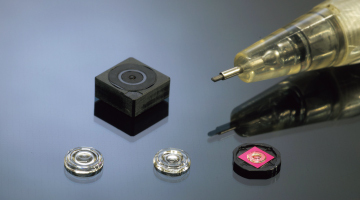 The lens has a hybrid structure consisting of glass and a special resin, and can be manufactured in a lead-free reflow process (RoHS Directive). 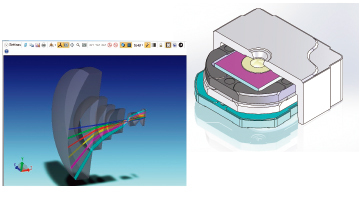 The MSG lens is an innovative lens that offers outstanding optical properties and excels in cost performance compared with glass molded lenses. Markets for smart phones and cell phones are expanding around the world. Mobile terminals are quickly replaced by new models, making for short product life cycles, and typically their selling prices erode fast compared with other electronic devices. In this kind of market environment, in order to cut manufacturing cost as much as possible, mobile terminal manufacturers have been shifting to mobile-terminal mounted components that allow reflow processing. In the “Reflow” process all components are soldered and bonded all at once in a high temperature furnace. 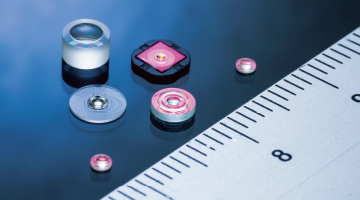 However, since mobile-terminal camera lenses are commonly made of plastic that is vulnerable to high heat, in the assembly process the lenses needed to be bonded after all other components. 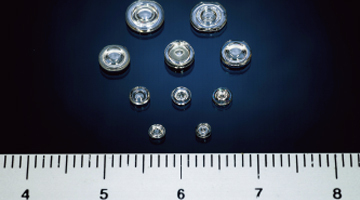 These issues were resolved by the MSG lens invented by Milestone Co., Ltd. with the manufacturing technology for high-volume production developed by the Seikoh Giken group. 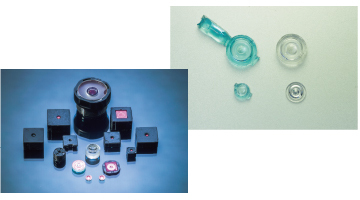 The MSG lens has a special structure consisting of a glass core held between two heat-resistant resin layers. Although the lens is passed through a reflow process furnace at 270 °C, it loses none of its optical performance properties as a lens. Moreover, compared with glass molded lenses of identical quality, the MSG lens achieves outstanding cost performance. Markets have taken note of the MSG lens as a new type of lens that meets the requirements of cell phone manufacturers. Seikoh Giken owns numerous optics patents including patents held by Seikoh Giken group company Milestone Co., Ltd., permitting optimized optical and structural designs matching customers' requirements. 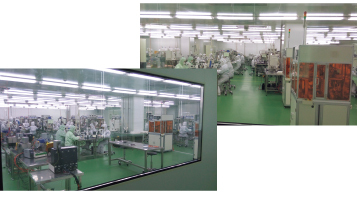 R&D facilities comprise the main research and development site at the Matsudo headquarters of Seikoh Giken and the Osaka-based R&D site which concentrates on the development of heat-cured lenses. Both sites are fully equipped with technical research and development staff and facilities. Reaching for ever-higher resolution. Applications also for smartphones. The initial application for heat-resistant lenses suited for reflow processing was the lens-unit of cell phone cameras for self-photography. The mainstream at the time was 300 thousand pixels. 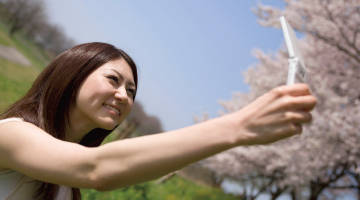 The proliferation of smartphones brought cameras for self-photography with increasingly higher resolutions, raising pixel numbers to 1 million and 5 million. Through lens structures combining multiple MSG and LIM lenses, today Seikoh Giken is able to offer fixed-focus camera lenses that accommodate 5 million pixels. High-functionality lenses of Seikoh Giken offer features of heat resistance, weather resilience, and hardness unavailable from resin lenses, and excel in the degree of freedom of shape compared with glass lenses. 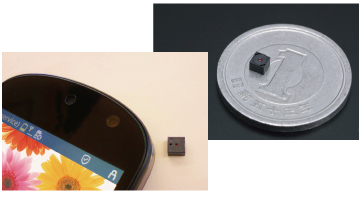 Moreover, high-functionality lenses can be made ultra-flat with tiny diameters, which is impossible with both resin and glass lenses, recommending applications in a wide range of markets currently under consideration at Seikoh Giken, such as automotive parts, medical devices, and wearable terminals.